Happy Halloween! 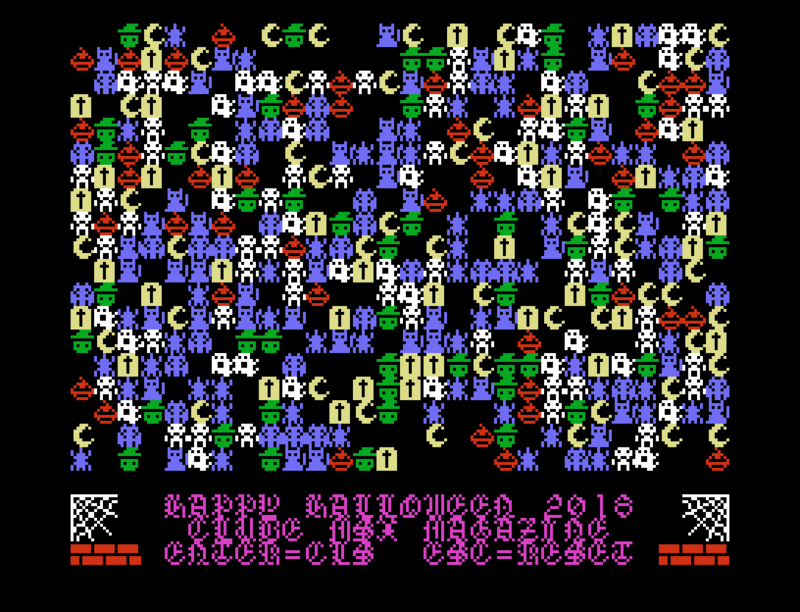 I did this little demo for MSX 1. Simple. Just to celebrate. Spook font! Nice demo, I like it much. Thank you! Love cats too. I enjoyed the cats and the ghosts.